British Airways and S7 Airlines recently announced that they will start codesharing on each other’s flights between London Heathrow, Moscow and across domestic routes in Russia February 8, 2011 onwards. This follows S7’s recent entry into the oneworld alliance. British Airways will pace its code on selected domestic Russian routes operated by S7 and its subsidiary Globus. S7’s code will be placed on all British Airways’ services between Moscow and London Heathrow. Both the airlines’ customers can book their whole journey on each other’s websites and even earn frequent flyer points on the codeshare routes. The codeshares is going to operate on S7 flights between Moscow and Krasnodar, Rostov-on-Don, Samara, Ekaterinburg, Kazan, Chelyabinsk, Kaliningrad, Krasnoyarsk and Ufa. 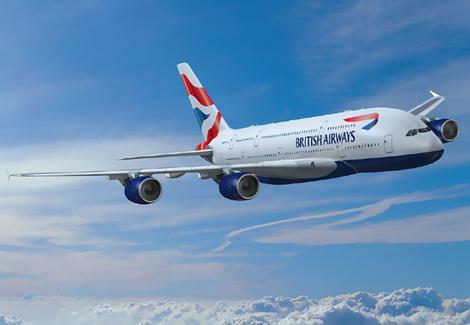 All British Airways services between Moscow Domodedovo and London Heathrow Terminal 5 will carry an S7 code as well. The codeshare flights will be available from February 1, 2011 onwards for travel from February 8th.